So yummy and easy to make! 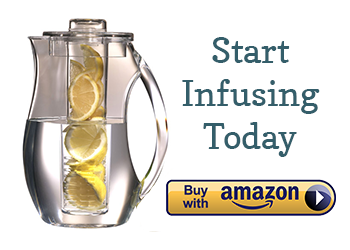 Simply muddle fresh basil and combine with fresh strawberries for a sweet and healthy spa water. If you let the mixture chill in the fridge overnight, the water gets a delightful pink tint. Delish! 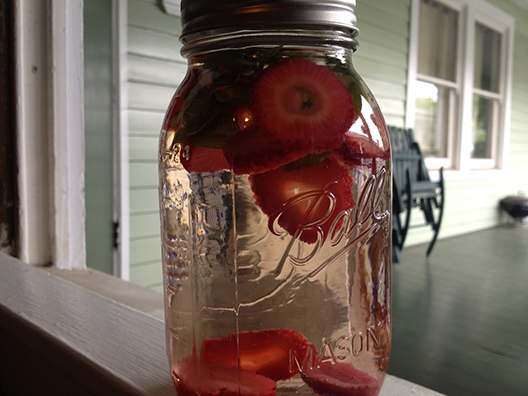 Recipe for a 32 oz Ball jar: 4-5 small organic strawberries + 3 hand-torn basil leaves. What does the basil actually do? Curious. I had this at Elevation Burger this week. There was a little strawberry syrup taste but I couldn’t detect any basil taste. Refreshing, though.